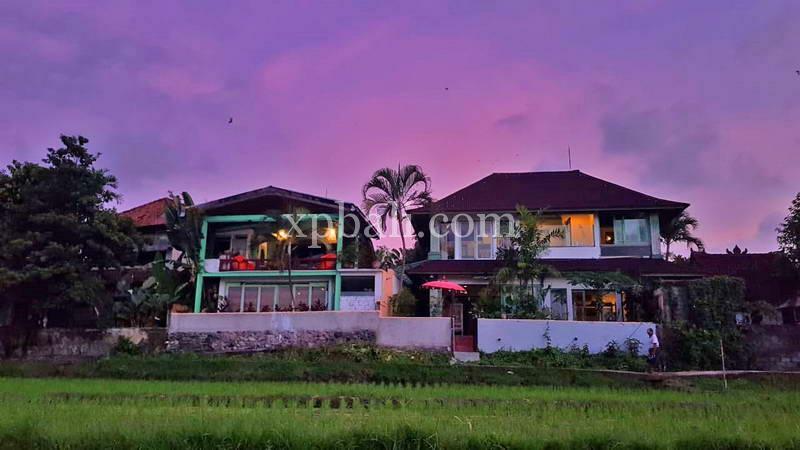 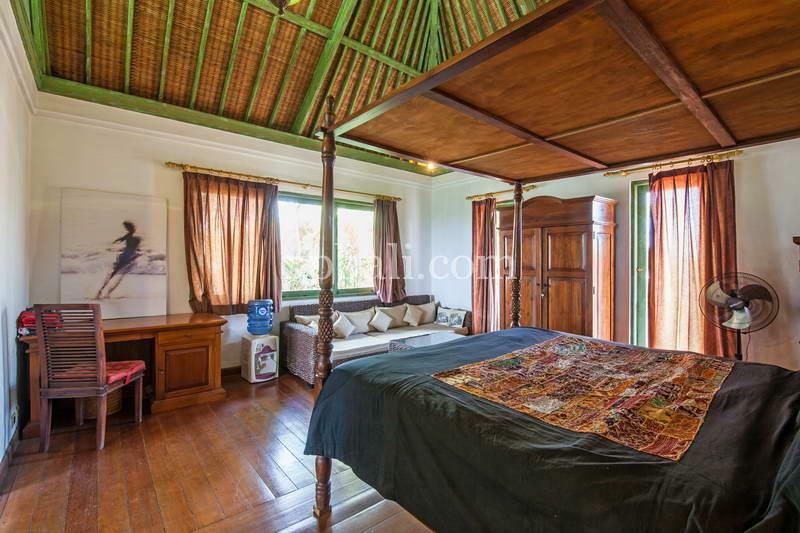 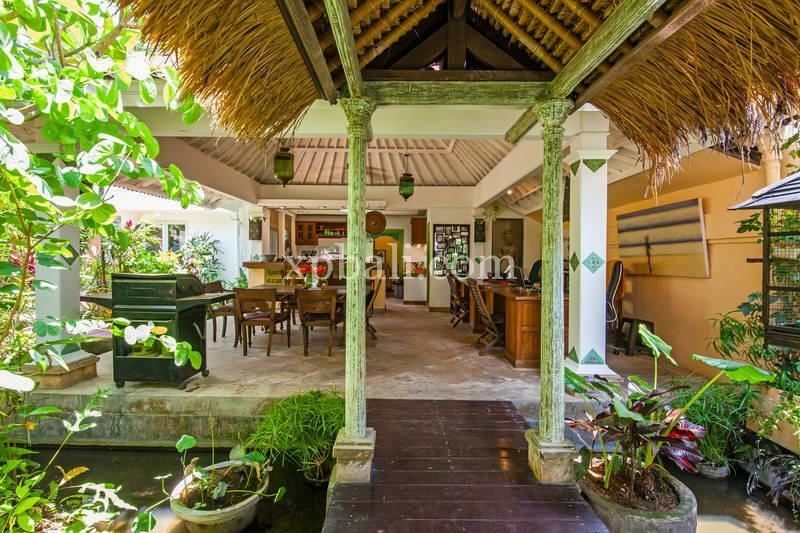 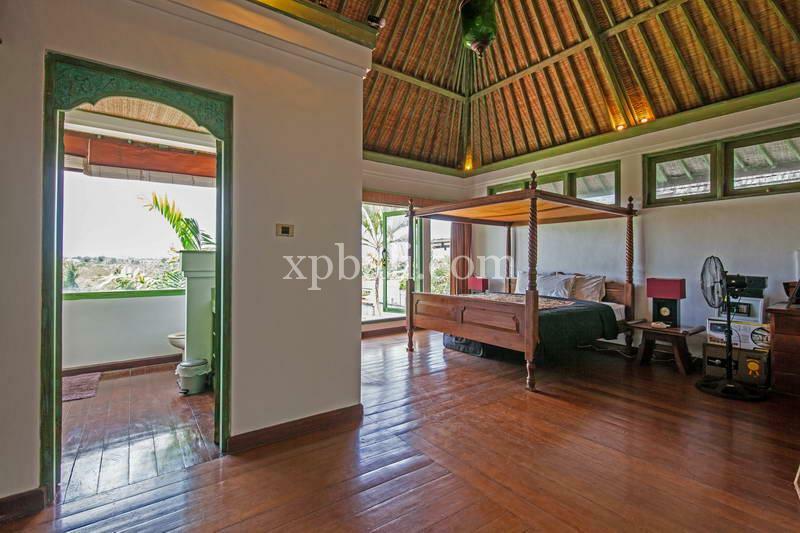 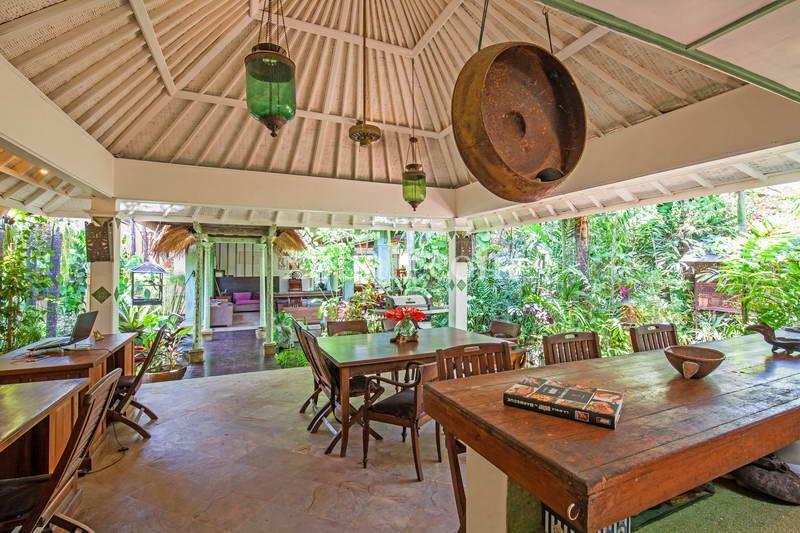 “This charming property is located in a peaceful typical village at the entrance of Pererenan, at 5/8 minutes away from the beaches of Echobeach and Batubolong. 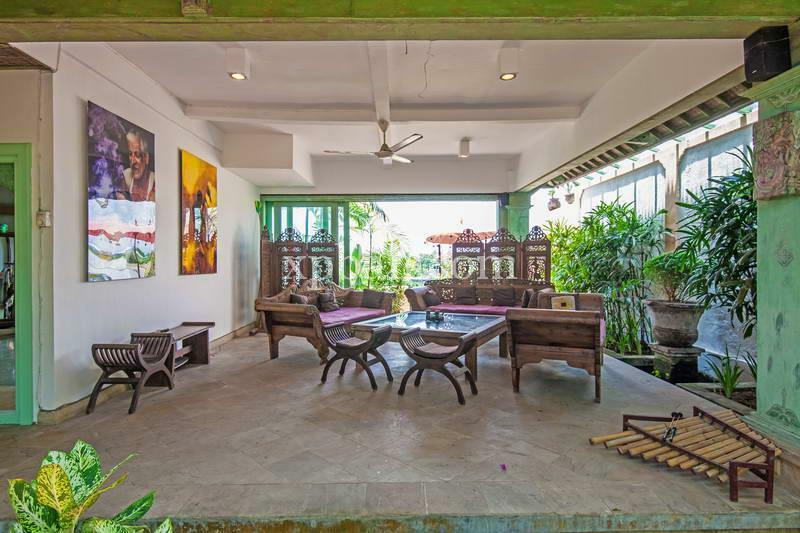 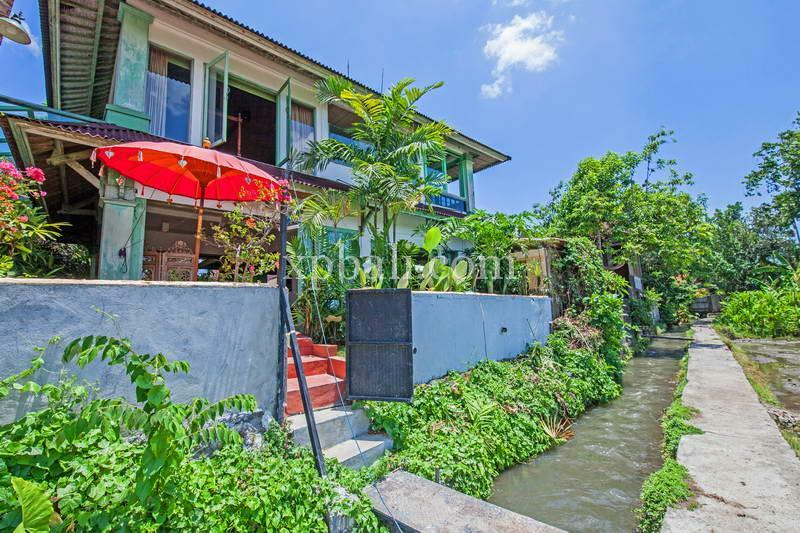 5 minutes walking distance from the restaurants and supermarkets on the Jalan Raya Canggu. 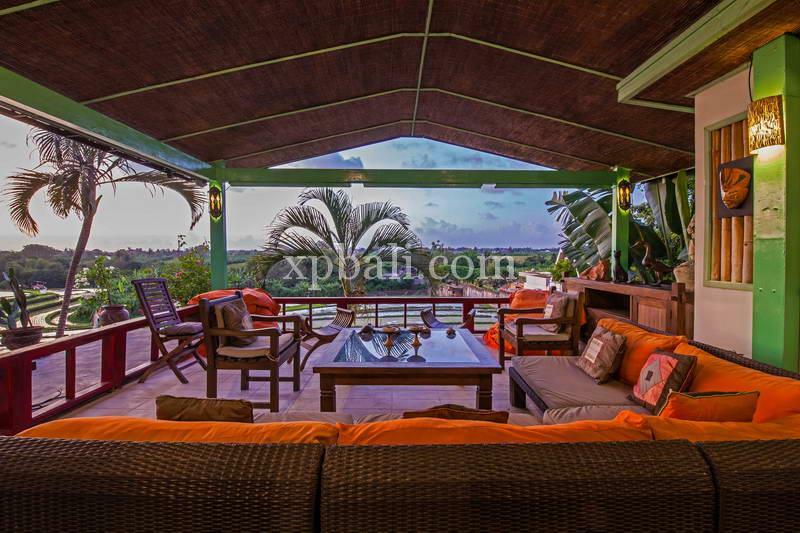 Fully furnished, the property contains of two 2-storey houses on a plot of 650m2 with living floor space of 550 sqms. 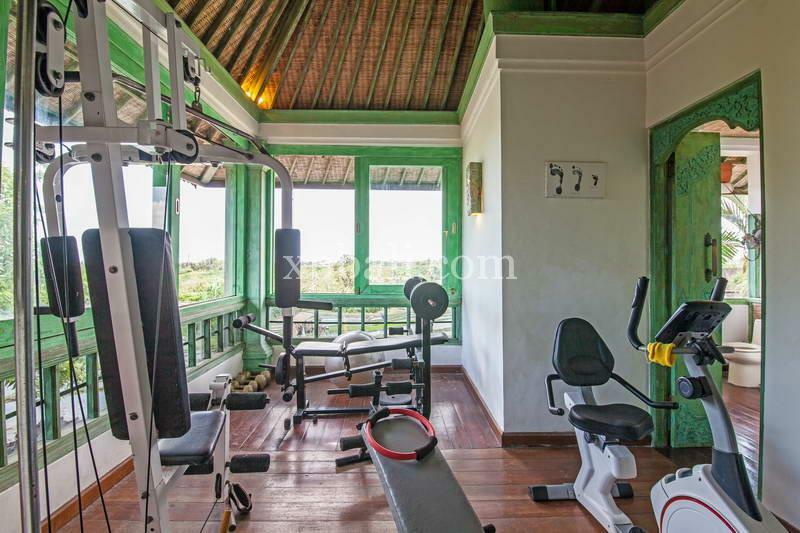 The main villa of about 380m2 has 4 bedrooms, 3 bathrooms, 1 kitchen, 1 living room and 1 dining room… 1 billiard space with the pool table convertible in a ping-pong table or in a dining table for 12 people and 1 air-conditioned sport room. 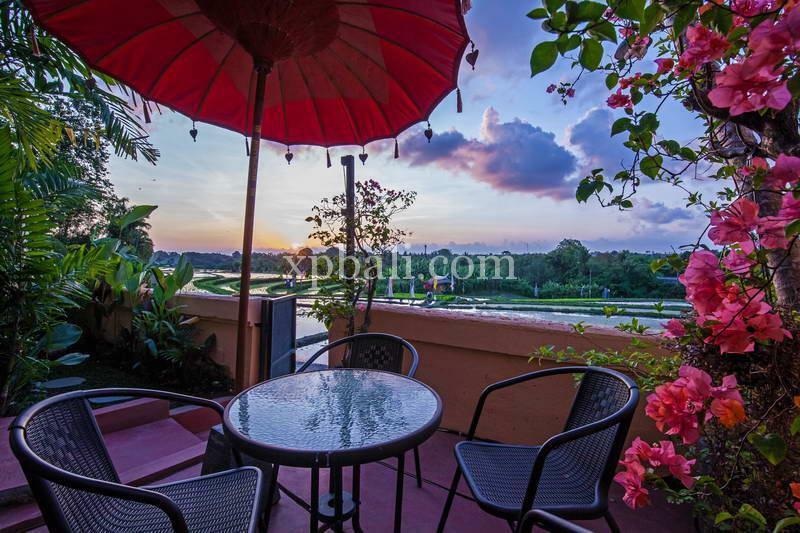 Facing South-East, it offers a beautiful view on the ricefields with a terrace and a hammock to enjoy the sunsets. 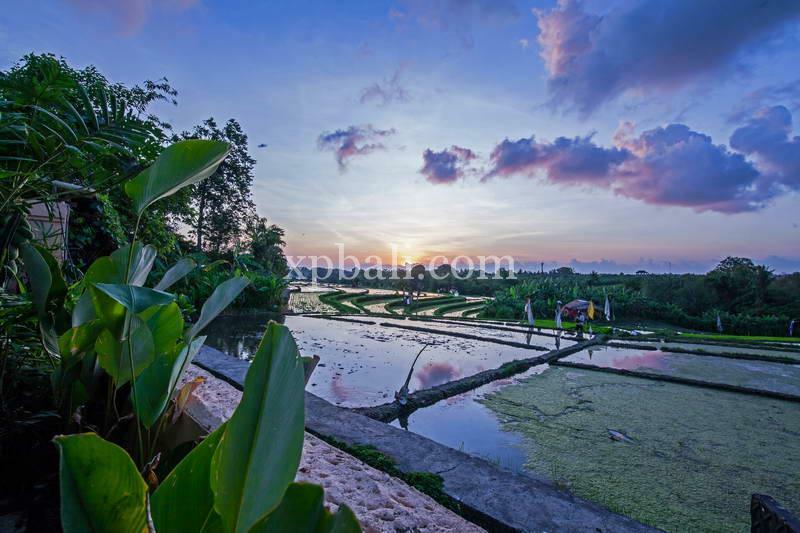 Also, a drawbridge gives a direct access to a promenade of about 1km along the ricefields allowing to go by walk to restaurants and shops. 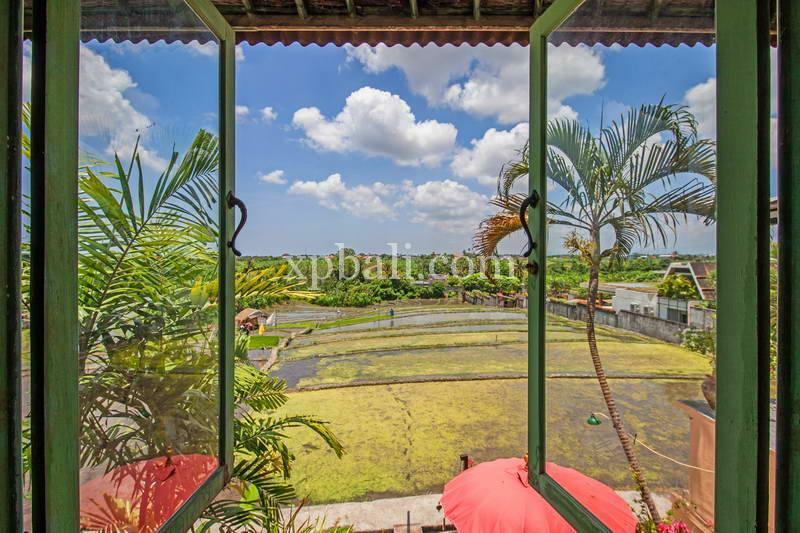 The second villa of about 170m2 has a large pool of 9m x 4m with solarium, 1 living and dining area, 1 american kitchen, 2 bedrooms, 3 bathrooms and 1 large covered lounge terrace of 40m2 with a breathtaking view onto the ricefields.